Leading the global investment management discussion. FundForum 365 and FundForum International are the world's leading authority on investment management and biggest investment management event in the world, respectively. For exclusive insights into geopolitics and volatility; ESG and sustainability and other leading themes, follow the conversation here. 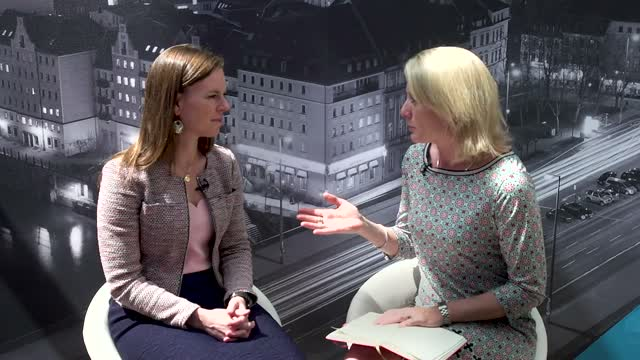 Given the slow down in the synchronized global recovery, asset managers need to discern between developed markets more, says Megan Greene, Managing Director and Chief Economist at Manulife Asset Management, live at FundForum International 2018. Could a US - China trade war lead to a bipolar world, and would the west remain dominant? Is the investment management industry complacent about the social and economic impact of Artificial Intelligence? And, is a true commitment to ESG the key to tapping into a whole new generation of investors? Just a few of the questions being asked at day 2 of the most recent FundForum International event. "The one size fits all mentality doesn't work anymore and the real drivers behind ESG are millennials and women," says April Ruden, Founder and CEO, The Rudin Group, live from FundForum International 2018. Watch the highlights from Day 1 at FundForum International, tackling AI and Machine Learning, impact investing and ESG, and tech transformation and implementation. Find out more about the FundForum event at https://finance.knect365.com/fundforum-international/.